Work out the cost of your weekend at the Red Bull Ring for the 2019 Austrian Grand Prix on June 28-30. 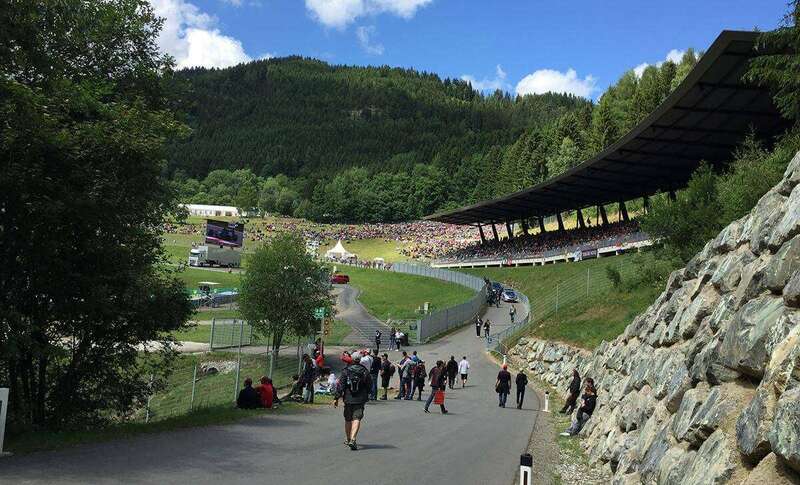 The Austrian Grand Prix can be an affordable race, especially if you choose general admission tickets and trackside camping. However, the price can quickly add up for grandstand tickets, hire car and decent hotels in Graz or near the circuit. Nevertheless, with good organization and decent facilities, a trip to the Red Bull Ring still feels like good value. Average costs below are per person based on a stay of 3 nights with race tickets, accommodation and spending money. The budget does not include flights (or other travel costs) required to reach Austria. About our categories: Budget fans buy the cheapest race tickets (General Admission) and camp by the track or stay in a hostel. Mid-Range fans buy a grandstand ticket and stay in a 3-star hotel, whilst High-End fans buy a trackside hospitality package and stay in a 4 or 5 star hotel. Leave a comment with your money saving tips for the Austrian Grand Prix! Work out the cost of your weekend at the Red Bull Ring for the Austrian Grand Prix. Learn more about the history of the Austrian Grand Prix, which returned to the F1 calendar in 2014 and is hosted at the Red Bull Ring. The lowdown on things to do in Graz and Styria for fans going to the Austrian Grand Prix at the Red Bull Ring. The next is on June 27-30, 2019. How to get to the Red Bull Ring for the 2019 Austrian Grand Prix on June 28-30, including information on flights, trains and driving. The travel basics to help plan your trip to the Austrian Grand Prix at the Red Bull Ring. The next race is on June 27-30, 2019. 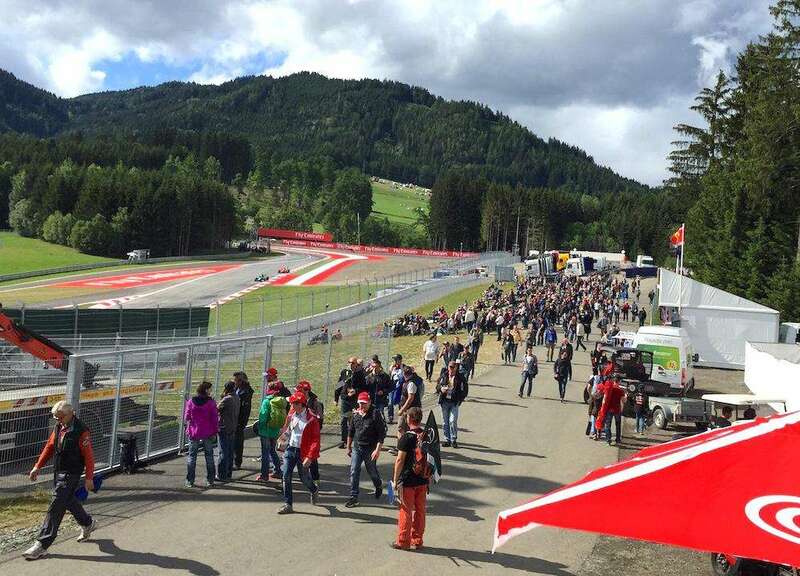 Planning a trip to the Austrian Grand Prix? From trackside camping to five-star luxury, we tell you where to stay near the Red Bull Ring for the next race. 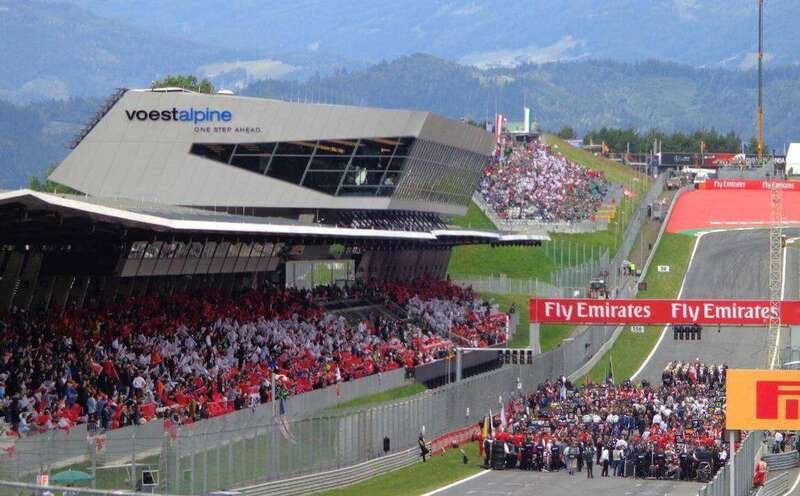 Your detailed guide on buying tickets and where to watch the action at the Red Bull Ring for the 2019 Austrian Formula 1 Grand Prix in Spielberg. Your trackside guide to the Red Bull Ring for the Austrian Formula 1 Grand Prix. The next race is schedule for the weekend of June 29 to July 1, 2018. Andrew Balfour is the Founder and Editor of F1Destinations.com. He originally hails from Adelaide, where he went to his first F1 race way back in 1987. He's been resident in Europe for almost 15 years and travels regularly to F1 races around the world. I am cheap Charlie. I’m planning on camping at the trackside. How do you take a shower there? Will there be problems at the Vienna Airport if I don’t book a hotel in Vienna? I’m from Panama, but we don’t need any visa to get into Europe. I appreciate all the info, as I’m interested in attending the 2017 Austrian GP. Hi Daniel, don’t worry, I’m also a Cheap Charlie! If you buy camping tickets for the Red Bull Ring, then you will have access to showers and toilets. You won’t have a problem if you don’t book a hotel in Vienna. Enjoy the race! I’ll be in Vienna on a placement at the same time as the GP, and I’m looking to attend the race day. This will be my first ever live GP, so I don’t know much about budgeting or what to expect! How much would you advise to budget if I was looking at travelling from Vienna on race day and buying a general admission ticket? What should I expect in the hours before or after the race? Hi Charlie, race-day General Admission tickets cost 85 EUR. It’s a fairly easy 2-hour drive from Vienna to Red Bull Ring on the motorway and trackside parking is free, so best would be to drive if you have a car. Otherwise, you can take the train but I suggest buying tickets now as they get more expensive closer to the race. Try and make a day of it; there are several support races on earlier in the day. The race finishes around 5pm and that’s the last thing happening. Check Trackside more info. I can see a significant difference in tickets rates between ‘General Admission ticket’ and ‘Grand stand’. Is it really worth buying the Grand stand ticket compared to general one. This is my first live Grand pri. I would really like to view the cars closer and experience the Formula 1 car sound. Honestly Akhil, just take the General Admission and wear some comfortable shoes. You will find lots of good vantage spots at the Red Bull Ring. Walk around and explore! We will be staying in Graz and traveling by train to Red Bull Ring 28-30. I was wondering about the shuttle from the station to the ring. And also we have general admission tickets and I’m wondering where I can get camping chairs to sit on. Any recommendations? Hi Elizabeth, I don’t have any further information about the shuttle from the train station to the track – but don’t worry. 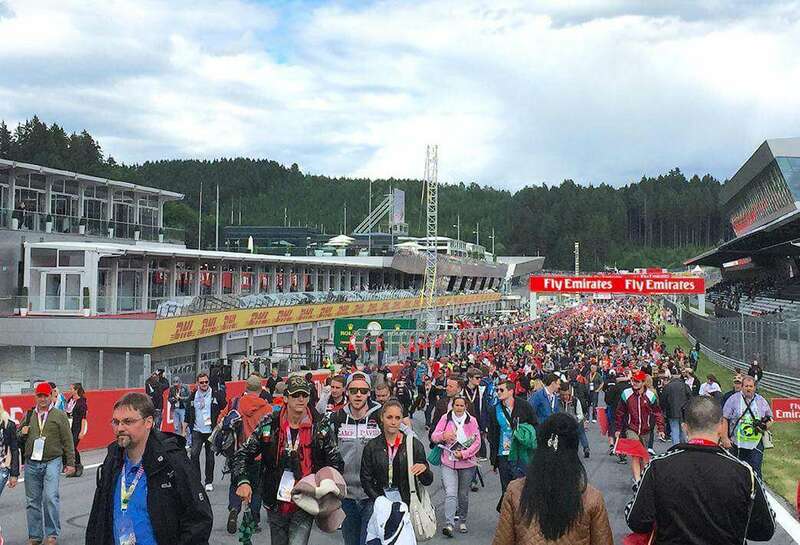 The Austrian GP is very well organized and I’m sure you won’t have any problems getting to the track. As for camping chairs, I suggest you visit a shopping centre in Graz before you head to the track.